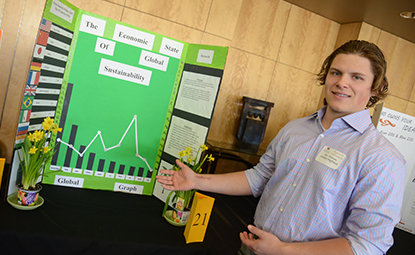 Students in the economics major will develop the analytical skills to understand private, nonprofit and government influences in order to help them improve society. You will study changes in global economics in the last 40 years and their impact on the economic future, along with learning how to achieve financial, social, and environmental objectives that serve the public interest. As an economics major, you will be a sought-after candidate for law schools, master of business administration (MBA) programs and doctorate (Ph.D.) programs in economics. Twelve full-time faculty members with doctorates, a passion for economics, and diverse teaching and research experience. High earning potential outpacing business and other liberal arts graduates due to high demand for economics skills in the workplace.